With what one can only call a variable season this year, oats have arguably come out of the other side quite well indeed. This amidst a ream of new growers that joined the fray of seasoned ones; yields and quality seem to be holding at the moment. It appears that lodging and brackling came down to just how much water the crops got hit with. Winter and spring conventionals as well as naked varieties looked great pre-heavy rain events, whilst post these events many crops went down in varying amounts. In saying that still less lodging than that experienced in the 80’s – the crop and agronomy certainly have moved on! To add insult to injury for some the dry spring tested all crop species and invariably this will have its knock-on effects. One variety decided though that in this trying season it wanted to stand up to these pressures. Fusion, a winter naked oat semi-dwarf offering from GB Seeds, really has shone through. Proving on farm that it is the stiffest variety out there; a feat that was also corroborated through Agrii and AHDB trials. The crop was reported to be relatively easy to manage, with decent yields and grain specs to boot. All the while adding to the value of balancing grower’s risks and options, whilst looking to maximize on-farm gross margins. Fusion seems to have grower’s coming back asking for more. As with everything there are always caveats to be had. The big one with winter oats, both conventional and naked, is that chemistry to control grass weeds remains a challenge. So grower’s always need to be aware of this, and should rather look to spring sowings. Interestingly, spring oats have shown themselves to be the most competitive cereal species against blackgrass at our Stow Longa site. So worth a shout if you’re thinking about the option. Adding to the benefits, oats remain a great option for growers looking at an alternative break crop. True scavengers, that help clean up the soil, a worthy option in particular for those who have tried and not succeeded with other crops in this remit. Demand for conventional oats seem to remain high moving into this autumn sowing period. All of which is great news for growers. Buyback contracts are being filled, and with new spring options becoming available, this will be an increasing space. A good reminder to snap up those contracts where you can to secure the value of the crop. Naked oats also remain a potentially lucrative option, with premiums being offered over AHDB feed wheat prices.  Agrii have been looking into how to best agronomise this crop to really look into maximizing on farm gross margin.  Using the data, Agrii and GB Seeds will be looking to develop a knowledge platform to support those growers that are on a Superioats contract. Our aim is best yields and best grain quality! The oat story will no doubt evolve and continue to develop as we see final harvest yields and quality through the various plants. 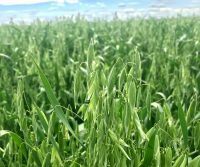 Although there will always be year-to-year variation and success rates, it appears that oats look well on to continue in this space.